The OnePlus 6T isn’t a sales powerhouse for T-Mobile, according to Counterpoint Research. Counterpoint doesn’t expect the 6T to gain any new market share going forward, either. However, OnePlus likely views the 6T as a total success, considering this is its first official step into the U.S. market. When OnePlus revealed it would release the OnePlus 6T in T-Mobile stores across the United States, it was huge news. This would be the first time U.S. consumers could walk into a carrier shop and buy a OnePlus product. However much positive publicity the OnePlus/T-Mobile partnership received, it doesn’t seem that it equated to an overwhelming amount of sales. According to a new report from Counterpoint Research, the OnePlus 6T accounted for only 2.4 percent of smartphone sales at T-Mobile during the fourth quarter of 2018. What’s worse is that Counterpoint only sees the OnePlus 6T’s sales declining from here on out. However, this likely isn’t seen as a poor showing by OnePlus. We know for a fact that the company sold more units of the 6T than the OnePlus 6 in the U.S., largely due to the T-Mobile partnership. We also know that the OnePlus 6T started selling in T-Mobile stores in November, giving every other device at the carrier a two-month head start when it comes to these numbers. 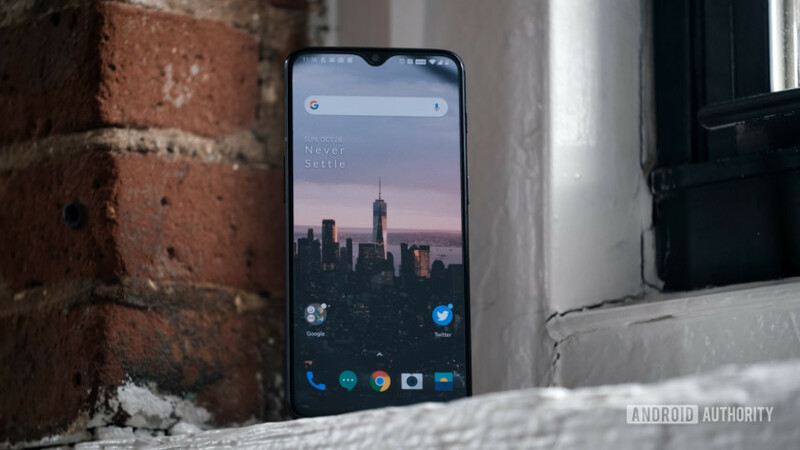 We also know from Counterpoint that the OnePlus 6T accounted for 6.3 percent of T-Mobile’s online smartphone sales, which is a pretty respectable number when you consider those consumers could have just as easily gone to OnePlus.com and bought the phone unlocked. These numbers generally line up with a similar chart Counterpoint created for the Google Pixel 3, although LG steps in for Motorola. As with the Google Pixel 3, it appears that not too many iPhone users are getting swayed by the OnePlus 6T. OnePlus will launch its first 5G phone later this year.